Looking to find clever and original ways to reduce college costs? A recent survey by the Statistic Brain Research Institute reported that the average college tuition for the 2014-2015 school year was $20,403. 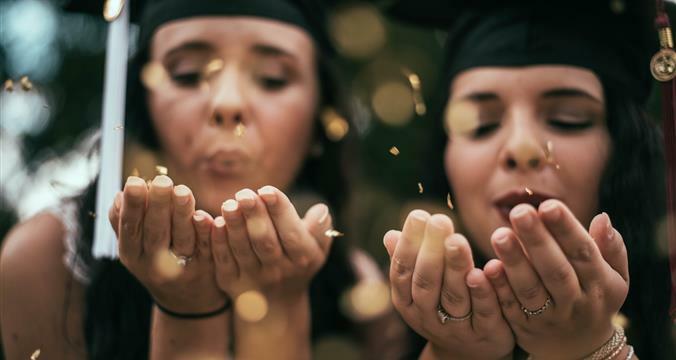 While most financial aid is reserved for those displaying academic or athletic merit, the following five scholarships are available to all students who are willing to embrace their more eccentric side. If you're into studying skin (and showing some) this is the scholarship for you. This $1000 award only requires three years membership in a nudist "organization," and previous residence in a nudist colony. Yes, it's true! Leverage your genius status (like Barack Obama, Lady Gaga and Morgan Freeman) and receive anywhere between $1,000 to $5,000. The catch? You have to attend Juniata College in Pennsylvania. Have you ever been searching for a way to get back in touch with your Scottish roots? If so, then you should pursue a degree in Bagpipe Studies, aided by a $7,000 per year reduction in tuition. Have you ever wondered if your passion for comic books could be expressed outside of Comic- Con? If so, then you should participate in this annual writing contest, where applicants must answer the question “Which superhero or villain would you want to change places with for a day?” The contest winner is awarded $2,500. Have you ever thought that the phrase “Go Big or Go Home” is overrated? If so, then you should apply for this scholarship, which is available to those who are below the height of 4’ 10”. The nation’s top applicants receive $250-1000.